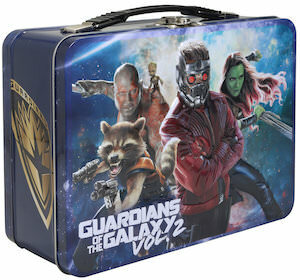 If you like to eat lunch and like Marvel superhero movies then you just need this Guardians of the Galaxy lunch box. The metal lunch box shows many of the characters of the second movie and that is why it says “Guardians of the Galaxy Vol. 2” on the front and “So…. we are saving the galaxy again?” on the back. The lunch box is just perfect for fans of Star-Lord, Rocket Raccoon, Groot, and the others as they can all be found on the front and back from this lunch box. 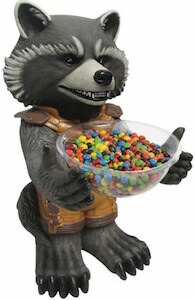 And if you don’t want crumbs to make your lunch box dirty then you could choose to use it as a storage box for your Guardians of the Galaxy collection.